Outstanding views of Mt. 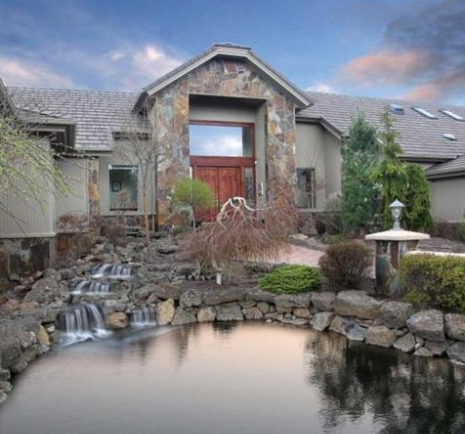 Bachelor and the Cascades are just some of the reasons to live in Grandridge in Bend. Custom homes of distinction, as well as acreage, can be found in this neighborhood, between Sisters and Bend. Unobstructed vistas might be right outside your window, living in Grandridge. Located north of Bend, the community offers upscale living surrounded by the natural beauty of the Cascade Mountains. Nearby schools are part of the Redmond School District and Tumalo Elementary is highly rated. Private schools are also found in Bend. Grandridge is close to the McKenzie-Bend Highway and a short drive will take you into the city of Bend. Kayaking, camping, swimming, hiking and biking are just some of the things to do at this nearby park. Nearby, one of the lakes, Hosmer, offers outstanding fishing, kayaking, canoeing and peaceful enjoyment. Enjoy the tranquility and wildlife in this scenic area, so close to home. Here, even novices can experience mountain climbing and stunning views from the top. Skiing and snowboarding are right in the neighborhood, as winter brings fun on the ski trails. Beginners can learn at the resort as well, with abundant ski clinics happening. Golfers will love the Pronghorn Golf Club in Bend. The Bend Country Club, River’s Edge Golf Course, and Sunriver are other nearby choices. This celebration of winter in Central Oregon brings music, ice sculpture, and an extravaganza to celebrate the holidays in Bend. One of the premier shows in the nation, this local event brings visitors from all over. The Old Mill District of Bend will entice you to shop and dine; it is also the site of art galleries and classes. Winter brings carriage rides and carolers to add to the fun. Art gallery tours and a First Friday Art Walk are all part of the cultural excitement of a city that loves its artists and arts. Opera and Ballet are part of the cinematic offerings in the Old Mill District. Distinctive living, privacy and the beauty of the Pacific Northwest are right outside the door. All the recreation and magnificence of the mountain landscape are available for family fun and entertainment. Minutes away, the convenience of the city and its art scene are to be enjoyed. Moreover, fine Dining and diverse shopping are all nearby in Bend. After a busy day, you will return home to the tranquility and serenity of your beautiful home in Grandridge, where nature and the unmatched beauty of Central Oregon are enjoyed every day from outside your window. Come home to Grandridge and discover a distinctive lifestyle in the heart of Central Oregon.